Create these exotic beverages infused with a local twist for the festive season. What better way to end a splendid Hari Raya feast than with a thirst-quenching drink to wash it all down? Guests generally prefer to end their meals on a sweet note, but a sickly sugary aftertaste may put off a few palates. The trick is ensuring an ideal balance of flavours in the recipe itself. Here are some easy ideas you can put to the test at your next event! A refreshing after-meal treat for the satisfied diner, just one sip of this summery mocktail is enough to get anyone hooked! The recipe calls for sugar, water, lemongrass, and Knorr Lime Seasoning Powder, which are brought up to a boil and served over ice. The combination of zesty lime and fragrant lemongrass is a definite winning combination. To give it a touch of authenticity, try repurposing the lemongrass stalks as drinking straws by simply pushing the inner rings outwards. Mint leaves are the perfect way to transform an average beverage into an invigorating one, and this thirst-quenching mocktail is no different. 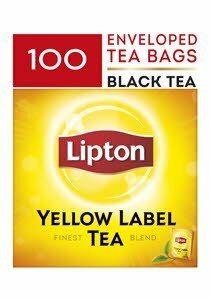 Blend a simple syrup out of sugar, water, Knorr Lime Seasoning Powder and crushed mint leaves, then mix in pre-steeped Lipton Yellow Label tea. The result is an irresistible tropical drink that is perfectly complemented by the slightly acidic tea base. With a rich taste and aroma, every sip is a burst of sunshine. It's all thanks to the great taste of the high quality tea leaves we put in our blends. Your brighter day starts here. A deceptively simple concoction of longan syrup, Knorr Lime Seasoning Powder and multiple lemongrass stalks makes this a popular option to wash down meals. Longan is an excellent source of Vitamin C. Soaked in a zesty syrup lime base and served over ice, longan adds just the right amount of sweet to the sour of the lime, making it utterly irresistible for our all-year round summer days. Keep your decanter topped up because guests are bound to head for several refills! Whip up a tropical masterpiece from juice concentrate. This particular recipe calls for orange syrup and Knorr Lime Seasoning Powder, mixed well in steeped Lipton Yellow Label Tea, and garnish with refreshing orange slices for a deliciously sensational drink! Cater to health-conscious diners with this refreshing beverage. Ginger has been known to offer temporary relief of stomach bloating and gas. Made of just three ingredients - ginger ale, Knorr Lime Seasoning Powder and sparkling water - this tantalizing brew is sure to delight taste buds and stomachs. A tropical plant commonly used in local delicacies, pandan makes for a fragrant addition to this exotic beverage. The recipe calls for pandan leaves, sugar and water which are brought up to a boil. 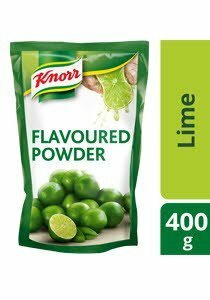 Dissolve Knorr Lime Seasoning Powder for a zesty punch and voilà! You have the ideal finish to wrap up a hearty meal.